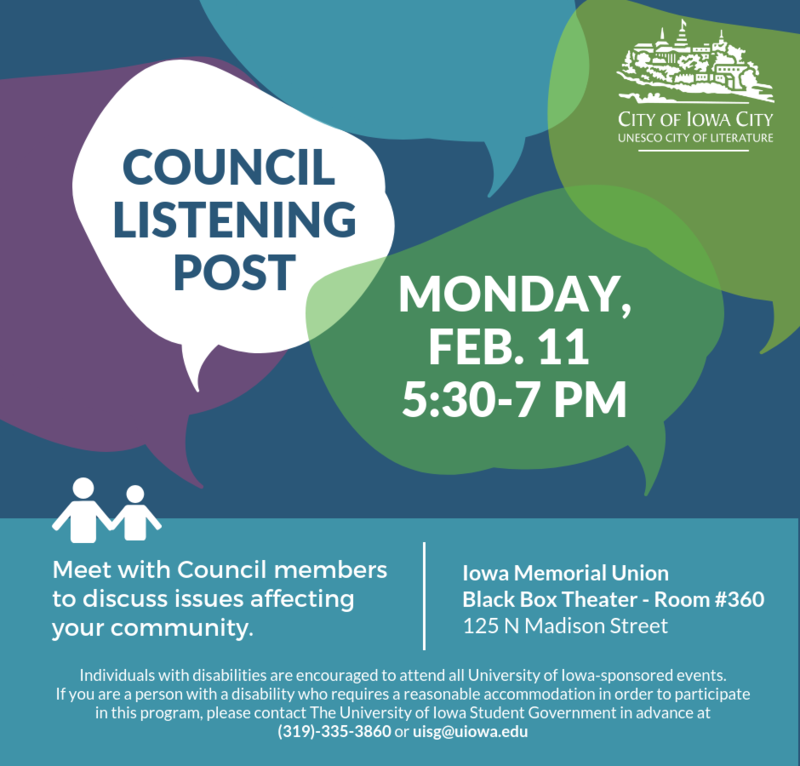 Join Iowa City Council members at their next community listening post from 5:30 to 7 p.m. on Monday, Feb. 11, 2019, at the Iowa Memorial Union (IMU) Black Box Theater, Room 360, located at 125 N. Madison St.
Council listening posts provide opportunities for the community to engage with City leaders on topics that are important to them in an informal setting. Two members attend each event and report back to the entire Council on what they have heard from the community during their discussion. All residents are encouraged to stop by to discuss any issue. No formal agenda or presentation is planned. For additional information, questions, or suggestions on future locations for listening posts, contact City Clerk Kellie Fruehling at kellie-fruehling@iowa-city.org or 319-356-5041.